Wide leg trousers: Zara. 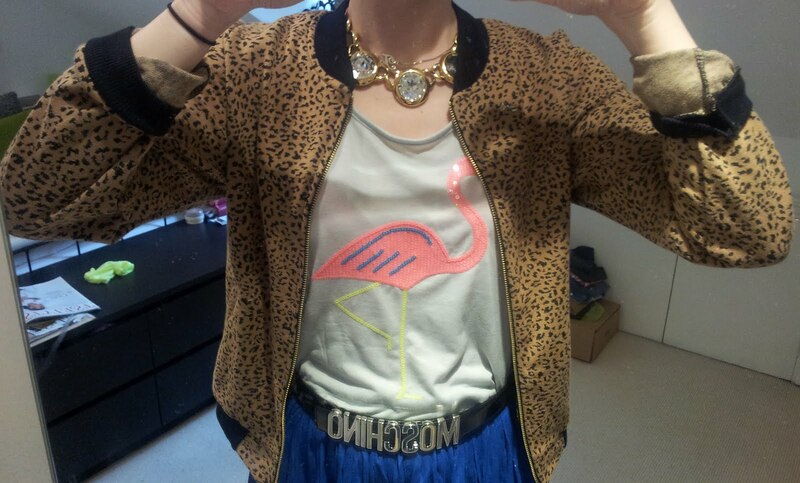 Sequin flamingo cropped vest: Primark. Leopard print bomber: Primark (got it yesterday for £5, feel like it will make it into my favourites pile) Belt: Moschino. Necklace:Susan Caplan Vintage. 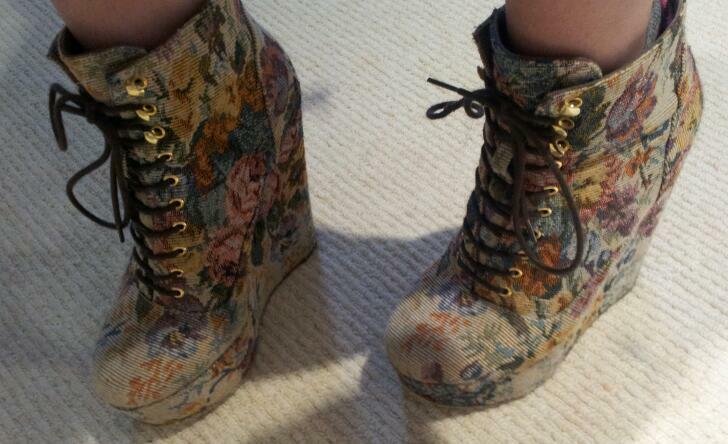 Floral tapestry wedge: ASOS. Love your jacket! 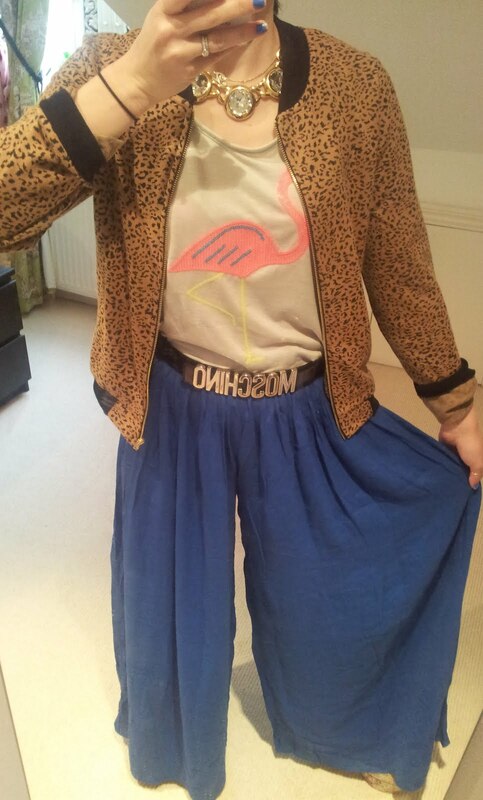 I'll be aving a Primark rumage this weekend now!